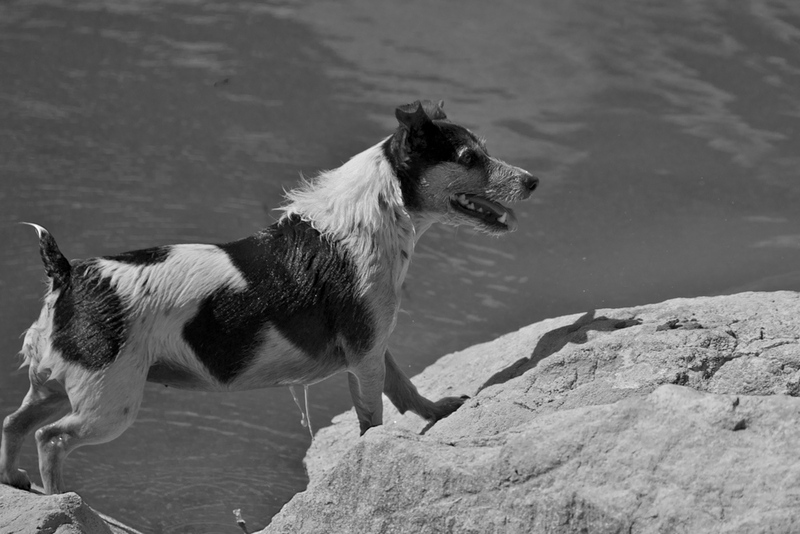 We invite you to meet our 4 legged Therapists! 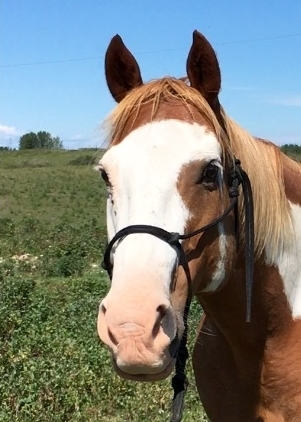 Zoe is a 9 year old registered paint mare but is solid palomino in color. Her coloring is just one part of her mixed personality. One minute Zoe can seem over confident getting herself into precarious situations and the next she shows her true lack in self confidence and would rather go within herself then be open and show her vulnerability to what is presenting itself in that moment. She loves to be playful and have fun but is very bossy and is one of those individuals who is constantly changing the rules of the game to her own advantage. Zoe loves affection and enjoys helping people develop their own leadership abilities, creating clearer intentions or setting appropriate boundaries in their relationships and life. Turner & Morgan These boys are definitely cute, cuddly and make your heart melt at first sight. They are amazing at showing up for their clients and always have everyone leaving with a smile on their faces! Working with one of the mini members might be a great solution if your hesitant working with one of the bigger horses! Morgan is the youngest member of our herd, our only mini donkey and quite the little fellow. Turner on the other hand is a mini horse, 5 years old and full of sass! They look forward to meeting you when you head on out to the ranch. Wicca is a 10 year old thoroughbred mare that can be related to the mouse in the elephants body. She is physically very large with the inner reflection of being very small and unconfident. In her earlier years she developed a deep routed belief about herself from the people around her always being intimidated by her size and fearful of her exuberant presence. This caused her to become very shutdown most of the time around humans but quite reactive in times of uncertainty. Since Wicca has come to us she has learned to relax in mind and body and has shown us her true inner teacher. She is always excepting of everyone no matter where they are in life and shows true guidance in helping us develop our inner self acceptance and learning how to present that to others in a confident and honest way. Holly is a 14 year old quarter horse mare who is very gentle in her nature and often appears unconfidant in her leadership ability but surprisingly will step up to a stronger leadership role when she feels strongly about the outcome she is trying to achieve. She loves attention and presents herself to others as a very gentle, kind and as a quiet healer unless of course she feels you need some chakra balancing done! you then might see her back right up into you until something has shifted in your energy centers. She very quickly though once gaining a clients trust helps move them along their journey of self exploration showing them that unless they are the number one priority in their vision they wont be achieving the results they strive for. Taxi is a 9 year old morgan mare. She can often appear to be quite aloof or disconnected, sometimes fairly anxious but when she is in session she is a very powerful healing presence. Taxi all to well understands the pains and compromise that happens when you take on the energy or emotions of others or let them drain yours. She connects to peoples deep routed blockages creating an openness to allow the energy to shift and stored emotions to release. You often will find Taxi in a session standing behind someone or touching them with her nose offering support and saying "Ive got you, don't worry, you can do this! " Fantom is an 9 year old westfallion, arab cross gelding and is one of the strongest male energies living at Silver Valley Ranch. People are often attracted to him instantly because of his beautiful outsides but he is often misunderstood. He is very beautiful on the outside but inside as well, he is incredibly intelligent and a tad mischievous! When working with Fantom he offers clients a solid presence and a direct energy that encourages you strongly to look deeper, keep moving forward, accept support when needed & put purpose into your desires. Hudson is a 9 year old quarter horse gelding and has a very gentle soul. He is a strong introvert and needs lots of time to let people in and to think about what is being asked of him. When given the time he so needs to connect it is truly a blessing that he offers back and a deeper connected relationship then most of us will ever feel. Hudson is very sensitive and is effected by the energy and intentions around him. There is no fooling Hudson he is aware and sensitive enough to recognize when we are truly connecting to our insides. He unfortunately has a deep understanding of trauma and the mental and physical pain that follows. In a session he often comes in and out of the space or stands away from the client offering a gentle reminder that there is someone there to support who is non judging but that the client has the freedom and space they need to connect to their hearts and allow their fears to flow outwards. Patch is a 14 year old gelding and has lived at Silver Valley Ranch since he was a long yearly. He started his life in a wild band of horses in northern alberta. He is very curious, loves affection, attention and is actually coach Meagan's Husbands horse. Up to this point Patch who we also call Wisdom has come into sessions teaming with another healing horse or on his own offering support for the client while they do their work with the coaches and enjoys helping people discover what contact and connection means to them and how they might be able to take that home to their relationships. Roy is a 14 year old quarter horse. He has always been in the competitive world and is incredibly athletic & sassy. Roy holds space for people in an amazingly gentle way often showing up for clients who are going through loss and who are suffering from mental or physical pain. He also is passionate about kids and is always standing at the gate awaiting the bus when our youth programs drive up the driveway! Willow is one the newest member of our healing herd and the youngest at the age of 3! She is a confident young lady and has shown a keen interest and fascination with helping people discover the inner part of themselves that knows they are worthy enough to hold space and connect to a deeper understanding of the boundaries we hold within. she is cuddly, very affectionate and will always be the first one to the gate to meet a client this is why it is important for us to keep a slower pace in her healing sessions to allow her to mature into being the amazing equine healer she already is. Jesse is 16 and a wise soul, he has been a saint in teaching his clients how to find their inner stillness. Learning how to communicate from a quiet but clear place he guides the humans that work with him to a deeper and more connected awareness in themselves. He has been helping his clients re-discover or unveil their life's purpose and igniting passion back into their lives. Its been a pleasure to see this big boy settle into the SVR family and connect with our clients in such a meaningful way. Contact Us for more info on getting started with one of our healing herd members today! our Canine Crew! the ranch Pups of course have their individual stories of how they arrived at the ranch and what their roles are here but we like to tell you all about them when you are being snuggled to death by doc, gently guided to your session by colby, Reminded of your ability to appreciate youth by Pepper or rekindling your love of dogs by moose. Spur & Finn are new to the ranch herd and are getting settled in and are in observation mode, watching the other equine coaches work with clients and are both starting to participate in some light client contact and group events. We look forward to when both of them start to shine in their own way in the healing team! Jessie & Spud our retired ranch herd members & may not participate in the more active sessions or events but still see clients for sessions that include herd walks, lots of loving, scratching and treats! and of course we want to honour our dear Sonita, Morgan, Blazer & Kia whom have crossed the rainbow bridge to gallop the hills of horse and puppy heaven.